William P. Doyle is the new CEO & Executive Director of the Dredging Contractors of America (DCA). Twice a U.S. Senate confirmed Presidential appointee to the U.S. Federal Maritime Commission (FMC), Doyle has, over the course of a long and celebrated career, worn many prestigious hats. 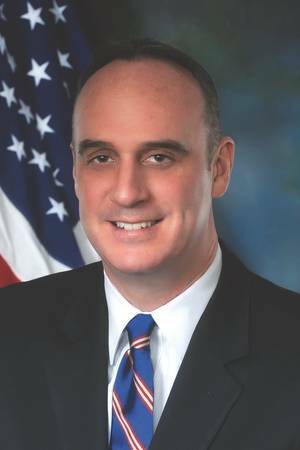 Prior to his FMC appointment, Mr. Doyle served on cabinet and executive level boards and committees under both the Obama and George W. Bush Administrations. Before that, he served as an officer in the U.S. Merchant Marine as a U.S. Coast Guard licensed marine engineer aboard numerous classes of vessels. During his tenure at FMC, he participates in discussions on certain bilateral shipping matters with other countries including Canada, Panama, Greece, Netherlands and other countries in the European Union. He represented the FMC and co-chaired the U.S.-China Bilateral Maritime Consultations where he met with officials from the People's Republic of China regarding maritime shipping matters such as tax policies affecting U.S. interests in the U.S.-China trade. Closer to home, Doyle has worked to address port congestion matters, ocean carrier alliances, industry consolidation and helping to find solutions that expedite the movement of cargo through the transportation system. A graduate of the Massachusetts Maritime Academy with a BS in Marine Engineering, he is also an attorney and a graduate of the Widener University Commonwealth School of Law. Doyle has, at one or another worked from all sides - and at all levels - of the maritime equation, and understands what it takes to make things happen. Hence, his recent appointment as DCA's CEO and Executive Director isn't surprising. Nor will anyone be surprised by what he accomplishes in his new role. Listen in this month as he wades into the complicated, but critically important world of domestic dredging. The Dredging Contactors of America's (DCA) recently named you as its new Executive Director and Chief Executive Officer (CEO) in December. Congratulations. Tell us about the new job and your responsibilities. I started on January 3, 2018. The DCA is a nonprofit trade association that represents the interests of the U.S. dredging and marine construction industry and its members for over 30 years. DCA members improve the quality and responsiveness of dredging service delivery to the United States of America, ensuring that America's ports, waterways, wetlands and beaches are efficiently constructed and maintained in an environmentally sustainable manner using innovative methods and American ingenuity. DCA serves as a vital resource to various other maritime industry groups for dredging expertise, both in Washington and across the country. It is a respected industry partner for its ability to bring together a broad base of industry stakeholders and decision-makers to engage in open forums and continue the discourse concerning policy issues important to the industry as a whole. As CEO & Executive Director, I am going to raise the profile of the dredging and marine construction industry and help tell their story. The member companies of the DCA are true American companies, who hire American workers, buy U.S. manufactured equipment and build their dredges, barges and tugs in U.S. shipyards. You've had a variety of roles in the maritime industry - a mariner, an attorney and as a federal regulator - arguably the perfect preparation for your current billet. But, your tenure as a Commissioner with the U.S. Federal Maritime Commission might be the most valuable. Tell us a little about the insight you gained at FMC and how you can leverage that in your new role. The Federal Maritime Commission opened me up to the entire international world of shipping. It was definitely a learning experience. I did not know as much as I thought I did about the maritime transportation and logistics system. It's a very complex global system. At FMC, we regulated the international side of shipping - foreign flag ocean carriers, ocean transportation intermediaries, ports and maritime terminal operators. That said, I was a Commissioner who made sure the U.S.-Flag operators and American-based service providers in the U.S.-domestic trades were not harmed by the ocean carrier alliances. I fought vigorously, and won, in defending the U.S.-flag tug and barge industry from being subject to the collective market power of foreign flag ocean carriers joining together to drive down the rates of towing and tug assist companies. I have built solid relationships with CEOs and Executive Directors of the ports around the country. I am going to work closely with Port Authorities and make sure the DCA is a value added team player with all ports. With the states providing more funding directly for dredging projects, it is important to keep and continue developing relationships with port CEOs and Executive Directors. As you kick off your new role, you've been described by DCA directors as "the right person to guide our industry association on an exciting journey forward." Tell us about what direction you intend to take DCA, and why. I have a powerful voice. I can tell a story. I have spent my entire adult life in the maritime, engineering and regulatory sectors. When putting together that experience, a powerful voice and a story that is true and one that I really believe in; the sky is the limit. I am going to ensure that policy and decision makers understand the economic, national security, and environmental importance of the work performed by the U.S. Flag dredging industry on our coasts and waterways at the federal, state and local levels. When our coastal and inland waterways and communities are decimated by hurricanes, super-storms and Nor'easters, it is U.S. dredging companies that answer the call - deepening and maintaining our channels and harbors, replenishing our beaches, rebuilding our wetlands and barrier islands, and allowing our ships to transit and our families to enjoy outdoor conservation and recreational activities. The U.S. dredging companies and their mariners are true patriots. When the 2017 hurricane season ravaged Puerto Rico, the Caribbean, Texas, and Florida, the U.S.-flag dredging and marine companies immediately made available their dredges to open our waterways and protect our shores and their tug boats and barges to deliver goods for humanitarian relief. Give your sense of the state of the U.S. Flag dredging and maritime community and the dredging industries role. What will be Job 1 on your plate? The U.S.-flag dredging industry is in the midst of recapitalizing its fleet. That said; there are foreign flag interests who desire to destroy the coastwise trade. The Merchant Marine Act has been around since 1920. The U.S. dredging companies comply with the Merchant Marine Act, and I intend to fight for their interests in the coastwise trade. Our dredging companies invest in America. On December 22, 2017, Weeks Marine's new hopper dredge the Magdalen successfully completed sea trails. The ship was built in Florida's Eastern Shipbuilding Group. In October 2017, Conrad Shipyard of Louisiana announced on that it has been awarded a contract to build nine barges: four anchor barges, two deck barges, and three crane barges for Great Lakes Dredge & Dock Company. In July 2017, Weeks Marine announced that its new cutter suction dredge, the JS Chatry construction is underway in Belle Chase, Louisiana at C&C Marine and Repair. In April 2017, Louisiana's Halimar Shipyard LLC in Morgan City, launched Manson Construction's new cutter suction dredge Robert M White. Weeks Marine built 12 scow sand barges this year in Corn Island Shipyard, Inc., Grandview, Ind., and C&C Marine & Repair, Inc., Belle Chase, La. Does the USACE have the resources they need from Congress and the Executive branch to accomplish their missions? I cannot answer for the Corps. There is still a dredging backlog around the country that additional funding could help resolve. We're very pleased to see that President Trump's FY18 was 10 percent higher than FY17. The House and Senate also proposed increases on top of the President's proposal, bringing the funding levels up to around $6 billion. That said; everyone is working under a continuing resolution right now with respect to funding. The DCA works with Congress and the Administration providing useful information in anticipation of an important omnibus funding legislation. Give us a few of the most pressing dredging priorities that need to get accomplished here in the United States; soon rather than later. We need to continue with the port and channel deepening projects. The ocean carriers have tripled the size of new vessels rolling off the blocks over the past 10 years. With the expanded Suez and Panama Canals now fully operational, larger ships are visiting U.S. ports. We need dredging to allow these new and larger vessels the ability to safely berth at the nation's marine terminals. Separately, we have an ongoing and important focus on coastal restoration in Louisiana. Beyond that, DCA members will help repair (to pre-storm conditions) U.S. Army Corps projects impacted by Hurricanes Harvey, Irma and Maria - and now perhaps the Bomb Cyclone that hit Mid-Atlantic, New York and New England in January 2018. We give harbor and blue water dredging a lot of attention. Let's shift gears and talk about inland waters. How are we doing as a nation in allocating the necessary resources to get inland dredging done? One of your most important duties, according to DCA, will be to ensure that policy and decision makers understand the economic, national security, and environmental importance of the work performed by the U.S. Flag dredging industry. You know your way around the Hill: how much time will you be spending there going forward? I am very comfortable working on Capitol Hill. I have a good reputation as a straight-shooter. With that, the Jones Act has come under heavy fire from outside interests this past year. I am going to counter balance that notion with facts and the DCA will be more involved as an association educating the House and Senate on the dredging industry's role. What's the most significant challenge to the USACE in 2018 - is that aligned with your biggest priority? I am not in a position to actually speak about what the Corps thinks is their biggest priority. However, the DCA can say that the Navigation Program is the Corps' largest program. Approximately 42 percent of the Civil Works budget is the Navigation Program. Nevertheless, and at current funding levels, the backlog continues to grow both in O&M and new work. The U.S. dredging companies have more than enough capacity to meet the needs of the Army Corps. If the budget were increased to allocate funding for even more projects, our dredging companies would certainly answer the call. Digging out the Small Ports and Harbors that serve as the on-ramps to the maritime super highway is important work. For example, the 12,500 miles of the domestic inland system is not simply the largest in the world - it is bigger than the rest of the worlds' waterways combined. Do we need to be spending more on inland infrastructure to complement all of that post-Panamax work underway in deep draft harbors? The DCA supports in investment in the inland waterway system. Our companies are there to do whatever needs to be done by way of dredging. By the numbers, FY 2015 in the U.S. - according to the USACE - 34 percent of all dredging could be attributed to Channel Deepening. Has this number changed appreciably in 2016? If so, why? Actually in 2015 it was only 17.6 percent and in 2016 it was 7 percent. The decrease is due to a lot of new work being funded directly by the ports at the state level rather than by the federal government. A good example of this is when Florida allocated state funding for the Port of Miami dredging and marine construction work. In contrast, and in FY-2015, (again according to USACE) 86 percent of domestic dredging was performed by private contractors and 89 percent of that was deemed 'maintenance' dredging. Has that metric changed much? It was 78 percent in 2016, and Superstorm Sandy rebuilding efforts and needs accounted for the slight drop. Dredging and infrastructure may therefore be the most important issue on the plate of any marine organization as calendar year 2018 kicks off into high gear. Would you agree?